Av hänsyn till grannarna har jag valt att göra en multi av denna. På start koordinaterna (ca 150 m från stolpe 24) finns ett monument. På en av sidorna finns en metallbricka med ett årtal. Årtalet = xxxx. För att få fram koordinater, sätt in talet enligt formeln: N 60 13. (xxxx-1108) E 19 59.(xxxx-1185). This time I've chosen to create a multi due to the close neighbours. 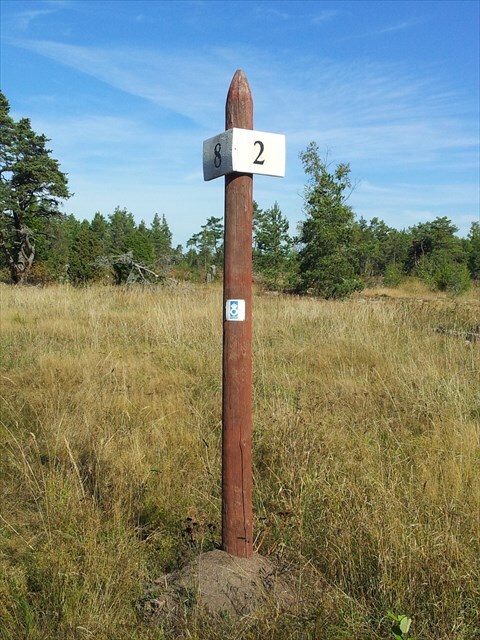 At the given coordinates (about 150 m from the 24th pole), there is a monument. At one of the sides, there is a metal plate showing a year. Year = xxxx. To get the final cordinates, use the number in the following fomula: N 60 13. (xxxx-1108) E 19 59. (xxxx-1185).